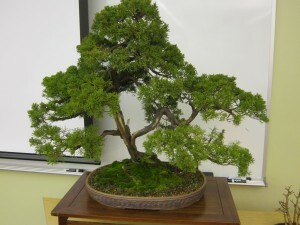 On April 20th, a group of Dickinson students will travel to a regional bonsai festival held in Grantville, PA. The festival, known as the Mid-Atlantic Bonsai festival, will give students and festival-goers the opportunity to observe an extensive array of professional bonsai trees as well as attending lectures and discussions by experts. For interested parties, the festival spans April 19th to the 21st at the Holiday Inn Harrisburg-Hershey. This entry was posted in Art + Environment, events by Aurora. Bookmark the permalink.